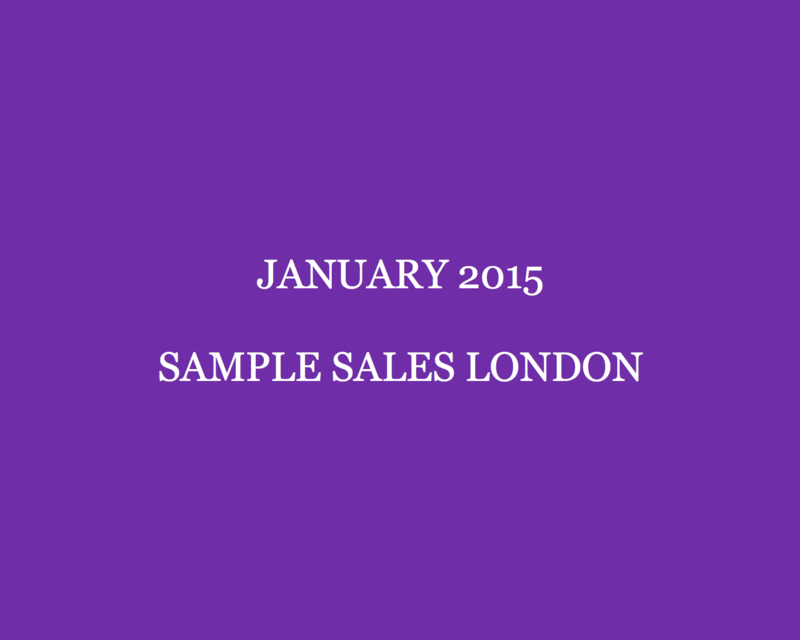 Hello 2015 and hello new London sample sales! As the holidays are over, it’s time to resume to self-gifting habits and as nothing beats a sample sale bargain, scroll down for these London sample sales. Oh keep checking back as more sample sales will be added when the announcements pop in the mail box. Want to get the most out of your sample sale visit? Read ‘Sample sale shopping tips‘. Heading to one of the bridal sample sales? Take a look at ‘Tips to say yes to the sample sale wedding dress‘. 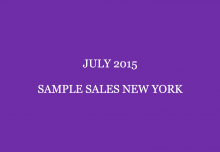 Can’t make it to a sample sale? 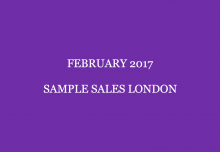 Why not take a look at the Steal Of The Day category on the right hand side to find a bargains rivalling those found at these London sample sales. Multi award winning shoe designer, Freya Rose is opening its doors for a sample sale where brides-to-be and shoe lovers can snap up those gorgeous shoes at a discount. On 19 December 2014 – 9 January 2015 at Unit 111E, The Business Design Centre Islington, London. Brides-to-be, trust me, you don’t want to miss the Phillipa Lepley sample sale. Phillipa Lepley’s beautiful couture wedding gowns will be reduced to up to 70% off. Although most size at this sample sale will be 10/12, the in-house couture seamstresses are able to make alterations in as little as 2 weeks if required. From 2 January 2015 (11am-6pm) at 48 Fulham Road, Chelsea, SW3. Book your 1.5hr appointment asap. Please note that there’s a booking fee of £30 for weekdays and £50 for Saturday. Did he pop the question? Don’t miss the Sassi Holford sample sale. Find your wedding dress at up to 70% off. On 3-10 January 2015 (10am-5pm) at Sassi Holford, 74 Fulham Road, London, SW3 6HH (tel: 020 7584 1532). Can’t make it to the London store? No worries, you can always head over to the Sassi Holford boutique on 6 The Bridge, Taunton, Somerset, TA1 1UG (tel: 01823 256308). At the Taunton store, there is a selection of sample gowns from the Signature Collection by Sassi Holford, So Sassi, Benjamin Roberts and Eliza Jane Howell at up to 70% off. Make an appointment at www.sassiholford.com or call the respective stores. Elbows ready? Ralph Lauren is having a sample sale! Woah! Shop Blue Label, Black Label and more at a sample sales discount of up to 85% off! Restocked throughout the two days. On 8-9 January 2015 (8am-7pm) at 26 South Molton Lane, London W1K 5LF. Celebrities favourite, Alex Monroe will be opening its doors for an up to 70% off sample sale where you can treat yourself to one (or more) of those beautiful jewellery pieces. On 10 January 2015 (11am-4pm) at Hoxton Holborn, 199-206 High Holborn, London, WC1V 7BD. Entry: £1 for breast cancer awareness. Missed the November a number of names* sample sale? Then this is your chance. This December/January a number of names* sample sale features even more brands such as Bedwin & The Heartbreakers, Human Made, Mr BATHING APE®, Ebbets Field Flannels and more with up to 75% off. On 6 December 2014 – 11 January 2015 (Mon-Sat 11am-7pm) at 36 Marshall St., London, W1F 7EY. Note: closed on Christmas Day and New Years Day but open on Boxing Day (11am-3pm) and New Years Eve (11am-3pm). Whoop, whoop! Twenty8Twelve is opening its doors for their biggest sample sale ever! With lots of sizes available and prices starting from just £5 you can’t afford to miss the sample sale! What to expect? Find coats, leather jackets, dresses, jeans and much more! And present the below flyer to get an addition 10% off! What’s not to love? On 16-25 January 2015 (10am-7pm except on Sunday which is 12pm-6pm) at Twenty8Twelve, 15 King Street, Covent Garden, London, WC2E 8HN. People Tree is starting the new year with a sample sale. Dresses, skirts and tops start at £15, accessories start at £5 and hand knitted jumpers start at £30. On 15 (6pm-9pm), 16 (5pm-9pm) and 17 January 2015 (11am-5pm) at People Tree Offices, 5 Huguenot Place, 17a Heneage Street, London E1 5LN. Calling all brides-to-be, save the date for the Emma Hunt sample sale. Find the wedding dress you’ve been looking for at up to 75% off. As expert wedding Florist Victoria Vaughan, bridal headwear and accessory specialist Victoria Fergusson, and the excellent Rainbow Club team will also be there make it a day out. On 18 January 2015 (10am-4pm) at Fulham Palace, Bishop’s Avenue, Fulham, London, SW6 6EA. Fashionistas will love to hear that they can still shop designer brands at My-Wardrobe at up to 80% off. Just head over to their pop-up store. The pop-up store will be open throughout December and January which means you can snap up a bargain whenever you want. Re-stocking takes place almost daily. I’ve snapped up some great steals like a fabulous dress for £125 was over £1000 and lots of great boots. The trick is to pop by very often to see what they have in stock. Mon-Sat 11am-7pm and Sun 12pm-6pm at My-Wardrobe (1st floor above M&S Food Hall), Whiteleys, 151 Queensway, London W2 4BS. Miranda Kerr, Emilia Fox, Emmy Rossum and Pippa Middleton to name a few are fans of Tabitha Webb‘s dresses. Now is your chance to lay your hands on one of her dresses at sample sale prices at the first ever Tabita Webb sample sale. On 21-22 January 2015 (10am-6pm) at Tabitha Webb, 45 Elizabeth Street, Belgravia, London, SW1W 9NZ. 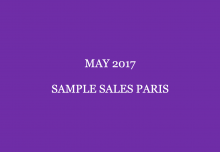 Lovers of French labels like Vionnet, Carven, Aperlai, Shourouk, JC de Castelbajac, Sonia Rykiel and more save the date for Frenchologie sample sale. Shop clothing, shoes, jewellery, bags and more at up to 80% off. On 23 January – 31 January 2015 (Mon-Sat 11am-7pm and Sun (12pm-5pm) at Frenchologie, 38 Earlham Street, London, WC2H 9LH. David Fielden will host a bridal sample sale where brides-to-be can find their wedding dress at up to 75% off. Don’t miss it. From 24 January 2015 at 10am at 241 Fulham Road, London, SW3 6HY. Herve Leger fans, get your elbows ready for the Herve Leger sample sale. On 27 (9:30am-7pm), 28 (10:30am-7pm) and 29 January 2015 (10:30am-6:30pm) at Herve Leger London Boutique, 29 Lowndes Street, London, SW1X 9HX. Snuggle up in cashmere. 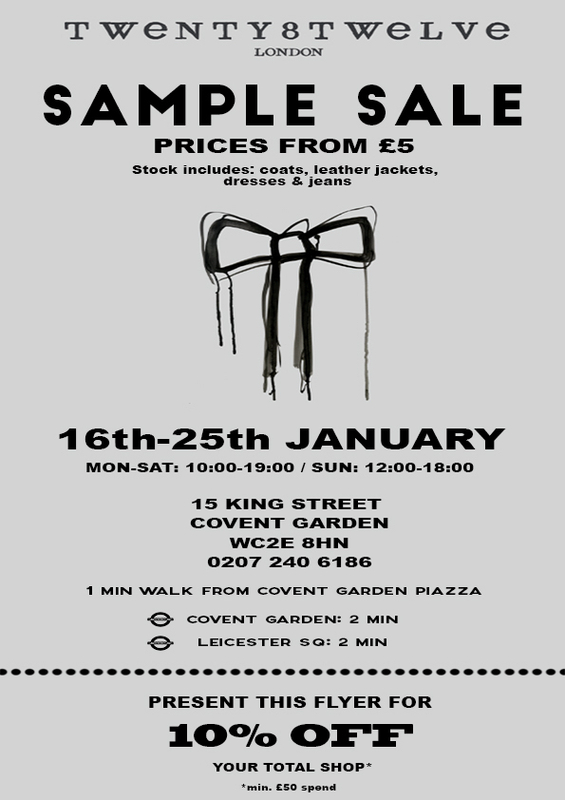 Find a cashmere sample sale bargain at the Crumpet sample sale. On 29 January 2015 (10am-5pm) at Mistley Church Hall, Junction B1352/New Road, Mistley, Essex, CO11 1ER. Note: card, cheque and cash payment accepted. Hush fans, save the date for the Hush sample sale and stock up on Hush pieces at sample sale prices. With prices reduced to up to 80% off you won’t leave empty handed. On 29 (12pm-8pm), 30 (10am-6pm) and 31 January 2014 (10am-4pm) at Chelsea Old Town Hall, King’s Road, London, SW3 5EE. Say yes to the wedding dress? Save the date for the Charlie Brear (bridal) sample sale. On 29-30 (2:30pm-8:30pm) and 31 January 2015 (10am-5pm) at Charlie Brear, 33 Tottenham St, London, W1T 4RR. Jewellery mavens treat yourself to some bling bling at the VickiSarge sample sale. One day only, this is your chance to add a VickiSarge piece to your collection at sample sale prices. On 29 January 2015 (10am-7pm) at 38 Elizabeth Street, London, SW1W 9NZ. Walking down the aisle in the near future? Make sure you don’t miss the Caroline Castigliano sample sales where you can find your wedding dress at up to 70% off. Available dress sizes: mainly UK8-12. On 30-31 January 2015 at Caroline Castigliano 154 Brompton Road, Knightsbridge, London, SW3 1HX. For an appointment call: 0207 590 9120. Mimi has teamed up with Quinton & Chadwick for a sample sale. Find bags, purses, gloves, hats and scarves at this sample sale. On (12pm-7pm) at Mimi, Unit 1, 7 Winkley Street, London, E2 6PY. Make the most of your wedding budget and mark your calendar for the Morgan-Davies bridal sale. Shop wedding gowns at up to 70% off. Think of Lusan Mandongus, Augusta Jones, Ozlem Suer, Maria Senvo, Ellis, Jesus Peiro, Eliza Jane Howell, Annasul Y, Forget Me Not and more. Make sure to arrive early for the best selection. On 31 January (10am-6pm) at Morgan Davies, 25 Agdon Street, London, EC1V 0AZ. Calling all cycling fans! Vulpine, the cycling apparel company, is having a sample sale where you can snag up cycling goodies at up to 80% off. On 30 (10am-7pm), 31 January (10am-7:30pm) and 1 Februaru 2015 (11am-5pM0 at Shop 7, Dray Walk, The Truman Brewery, 91 Brick Lane, London, E1 6QL. Note: cash and card accepted.